Make Your Big Cat Dreams Happen this May! 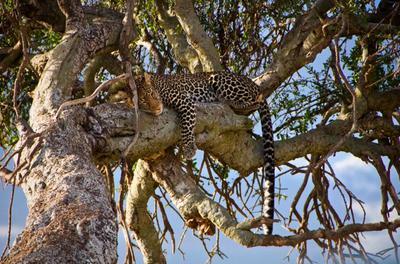 Fancy hanging out with this guy in the Mara? The Mara is undoubtedly one of the best places to spot Africa’s big cats, the leopard, lion and cheetah finding Kenya’s best-loved game reserve and its array of readily available mammals hard to resist. Also home to Africa’s highest density of lions, and a locale famed for the filming of the popular Big Cat Diary, these grassy plains are a must for any safari goer looking land themselves in the midst of the animal action. 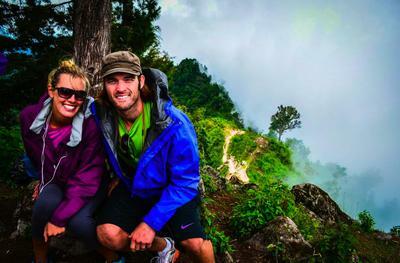 The reserve and its big cats fall into the “highly anticipated” category for Hannah and Adam, the blogging duo and editors of Getting Stamped (http://www.gettingstamped.com/) adding Africa to their two year round the world travel jaunt. Both were avid watchers of National Geographic in their early years, and for them travelling to the continent will be like fulfilling a life long dream. The couple were recently glued to Big Cat Week, so its easy to see why these predators have topped their wildlife viewing list; and with their overland expedition (http://acacia-africa.com/acacia_overland/kenya_to_cape_town_2014.php) due to depart in early May they can expect some unrivalled safari encounters in the wilds of Kenya. * At this time of year it is probably too early to catch the migration, the annual spectacle timed by the rains. 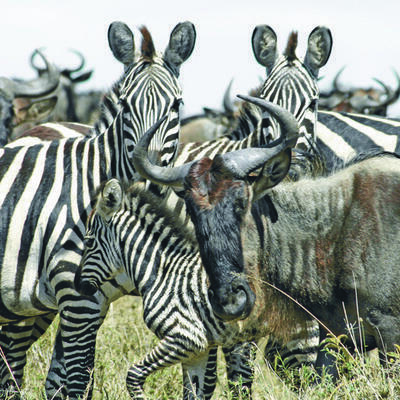 Earlier this year tour operator, Acacia Africa, reported an early return for the herds from the neighbouring Serengeti due to a drought in the national park – the timing of the event out of any travellers control. Either way, there are a substantial amount of predators in the Mara year round, and being one of the quieter times on the safari calendar, those chance encounters are going to be even more gripping in May! 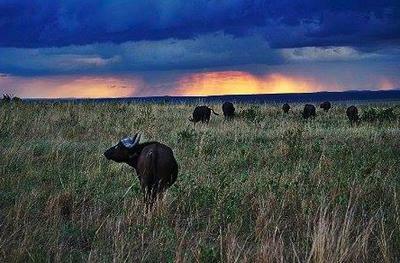 * Think lush, tall green grasses refreshed by the last of the rains in Kenya and lots of action out on the plains. If the migration isn’t in full flow the reserve’s hungry predators will have to work that much harder to put something on the dinner table. Add to that abundant resident game and May starts to look like an amazing off season deal for photographers. The Getting Stamped team once took over 3,000 photos in only seven days, so the game reserve is bound to produce some great shots, and the pair will not be short on technology when it comes to the trip - a DSLR, GoPro and a point and shoot coming along for the safari. Hannah uses her Galaxy for any Instagram photos, but Adam is clearly a fan of his DSLR for more creative shots. "As every camera is getting more advanced it's easier to take pictures. But for the true standouts you need a DSLR. It's worth its weight and size in my back backpack." * Offering great year round safari viewing, the Mara is home to some of Africa’s most varied and largest animal populations. Almost every animal on the continent is contained within this 1,5190 square kilometre reserve; rhino, giraffe, elephant, buffalo and impala common sightings on the plains. And don’t stop there, as down by the Mara River you may well find hippo and the Nile Crocodile: one of the largest in Africa. From big cats to birds (over 478 recorded in the reserve) the Getting Stamped duo are sure to be bowled over by Kenya’s wildlife; and for anyone who is interested in the world of travel blogging this is a great time to go. Hannah and Adam are 2013 Bloggies Awards finalists, the pair commanding a noteworthy presence on the web. Whether you'd like to take that perfect wildlife shot or learn how to keep it creative out on the road, the 04 May departure is one not to miss! Join them on their overland journey with Acacia Africa or talk to them on Twitter, @gettingstamped set to co-host the 16 April #Africhat . Please note: The Getting Stamped overland expedition is partly sponsored by Acacia Africa. Comments for Make Your Big Cat Dreams Happen this May! Well put. The world is a book and those who do not travel read only one page. From Kenya to South Africa that's amazing. No doubt, Mara is one of the best places to check out the big cats. Great article. However, for all those planning to go on a holiday to Mara, the Sarova Mara Game Camp would be a good staying option. A perfect hiding place for those who wish to witness the Wildebeest Migration.